The story of how a wonderful film was mutilated, forgotten, rediscovered and restored . . . Ten Years before Home Video! Roman Polanski's delightful The Fearless Vampire Killers, or, Pardon Me, but Your Teeth are In My Neck has a fascinating and little known release history. Before Home Video, this film was known in the United States only in a severely re-edited version, one which Polanski disowned completely. Scripted and filmed as Dance of the Vampires, an elegant title retained everywhere except the United States, Killers was emigré Polish director Roman Polanski's first bigscale production. 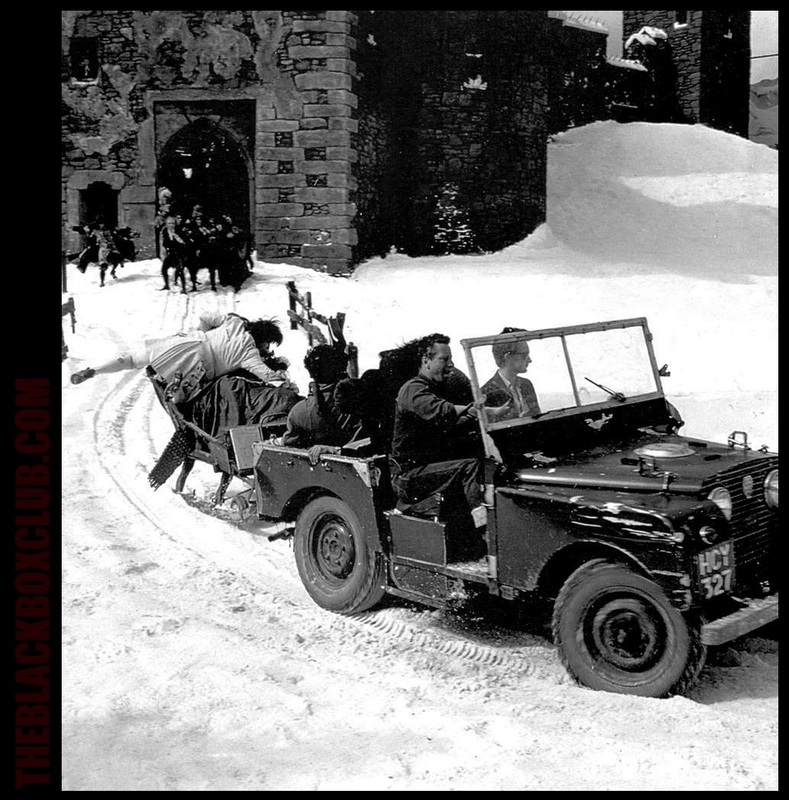 Straight from Polanski's international success Repulsion, it was mounted on a lavish scale - color, huge sets in England, location filming in the Alps, elaborate costumes and choreography suitable for a period epic. 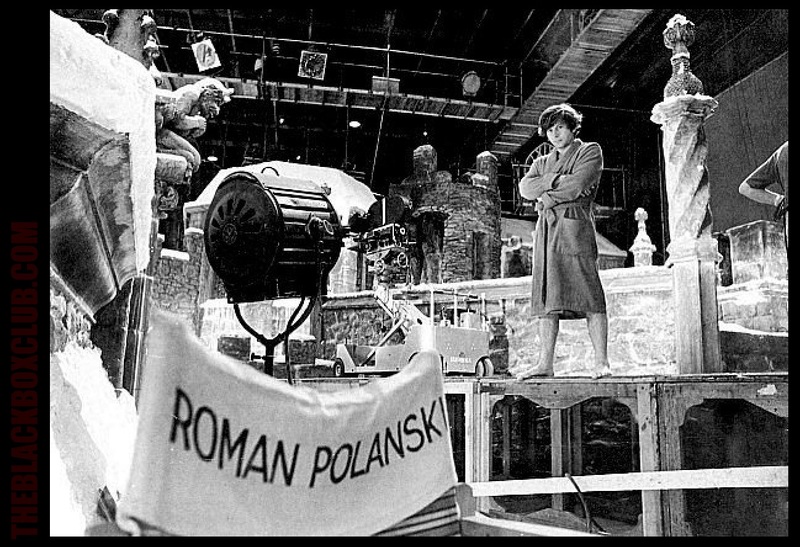 Previously accustomed only to extremely low budgets, Polanski chose some of the finest English cinema craft artists to work on the film: cameraman Douglas Slocombe, production designer Wilfrid Shingleton. 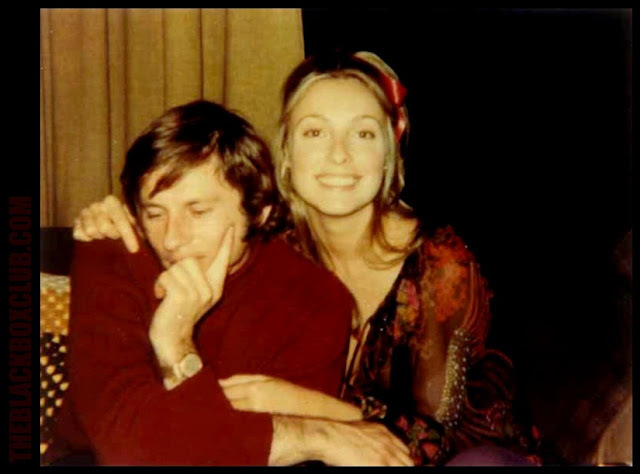 Polanski engaged noted choreographer Tutte Lemkow, who played the actual Fiddler in Fiddler on the Roof, for the film's climactic Danse Macabre minuet. The film got even bigger when the director decided to switch formats to Panavision while filming on location. Flat scenes already filmed were optically converted to match. For Savant-types this accounts for the slight compositional crowding North-South on some of the Alpine exteriors. There is also at least one shot of demented hunchback Koukol's coffin-sled crashing into the trees that was used without re-formatting, resulting in a more 'readable' but horizontally stretched image. Except for a few reports of the director clashing with his English crew over Union rules, there are no accounts of anything but a smooth filming for Dance. Polanski had considerable acting experience and added to his challenges by playing a main role. Yet the direction of the film appears to be as precise and effortless-looking as the best of his work. Dance of the Vampires was immediately embraced by European audiences who were enchanted by the film's unique blend of fairytale beauty, sly comedy and baleful horror. It was only on import to the United States that the trouble began. For its American release, Dance of the Vampires got not only a new title (or three) but was subjected to a merciless editorial revision. It's easy to see what the revisionists had in mind. This was no cheap chop-job; the changes started right at the top with an expensive animated cartoon prologue showing caricatures of the vampire hunters trying to dispatch a chortling, Dracula-style vampire. The purpose of the prologue seems to be to re-acquaint audiences with the standard anti-vampire methods, even though the popular Hammer films and TV reruns of the Universal originals should have given the revisionists a clue that a primer wasn't necessary. Audiences I saw the film with in 1970 thought this cartoon amusing, but its tone created false expectations for broad slapstick that the feature doesn't fulfill. The animated cartoon concluded with MGM's Leo sprouting cartoon fangs, which indeed got a big laugh. In Polanski's original the Leo logo fades up normally, then suddenly morphs into a baleful green ghoul who just stares out from the screen. It's a chuckle moment, but with a hint of discomfort - this silly 'toon is creepy, too. Luckily, no one thought to remove Krystof Komeda's wondrous music with its weird choral effects and little melodies that show up at what in a normal film would be inappropriate moments, like vampire attacks. Never resorting to cliché, Komeda's score communicates the Kafka-like isolation of the setting and the characters. The quivering choral harmonies lend an extra chill to the cold surface of the moon and magic to those little frozen vistas glimpsed through tiny castle windows. 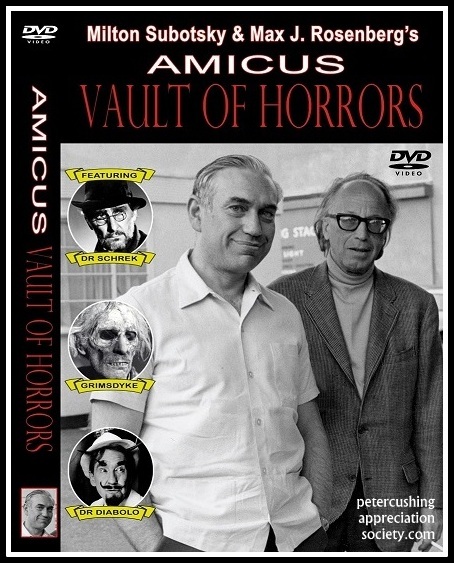 The entire role of Professor Abronsius (Jack MacGowran of The Quiet Man and The Exorcist) was revoiced and redubbed. This demoted Abronsius from bizarre leading player to comedy relief, and essentially scuttled the story's fragile balance of characters. 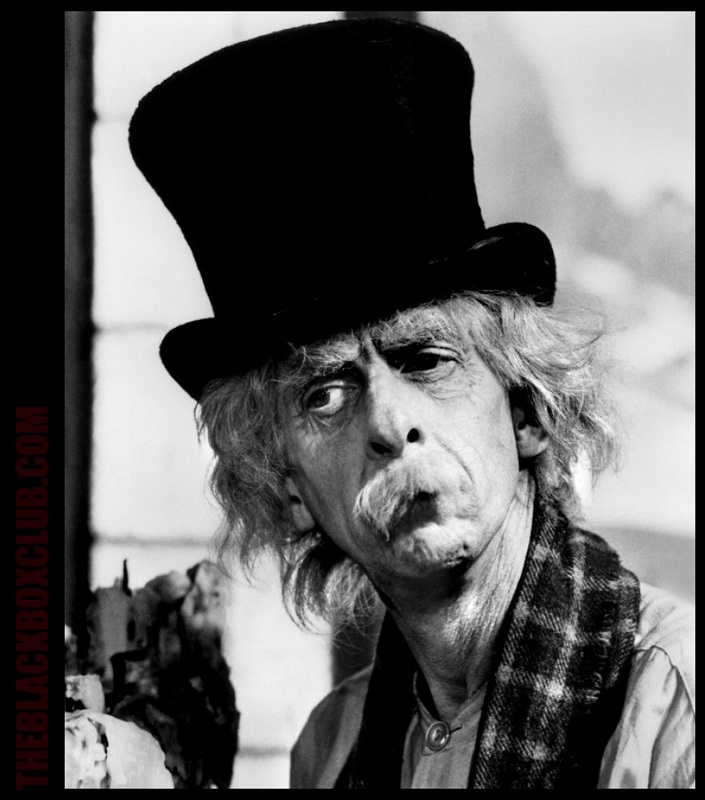 The redubbed Professor may have been more accessible - he tends to grunt and quack his way through his lines in the original - but it also made his assistant Alfred's devotion seem ludicrous instead of touching. The key moment for this is when Alfred carries his master across the castle battlements. Abronsius, as blind as ever to his disciple's heroic efforts, rhapsodizes on the beauty of nature. With a redubbed Saturday-morning cartoon voice the line became just a not-so-funny throwaway. In the original, the Professor's frustrating lack of sensitivity to the problems of people around him makes an entirely different statement. Polanski's films often deal in contrasts of master and servant, the empowered and the powerless. The supposedly benign Abronsius callously bullies Alfred for his own purposes, just as the vampires consider all of humankind a resource to be harvested. Nowhere in vampire films before was the aristocratic nature of Dracula used to make such an effective statement about the 'natural order of things'. With the animated prologue added, it means that the original European film was actually shortened by as much as twelve minutes. What was missing in the original American release? Parts of sequences and entire scenes that establish creepy moods and illuminate characters. Jettisoned: Innkeeper Shagal stomping sauerkraut and staring at barmaid Fiona's rump as she scrubs the floor. Parts of the snow journey to the Count's castle. Also dropped was a key scene of Alfred searching through dank corridors for the source of an eerie voice which might be that of his beloved Sarah. 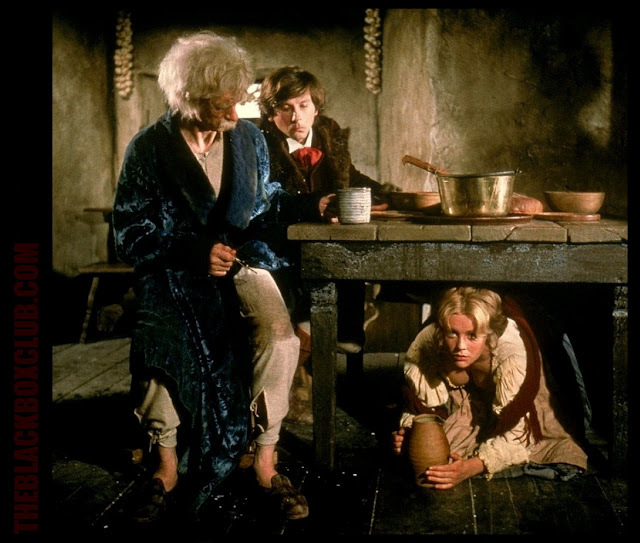 He blocks a doorway with a chest of drawers (a recurring Polanski motif) and climbs back into bed; in both versions the hunchback Koukol stumbles into the shifted chest, a gag that makes no sense in the short version. A small but effective snip was the telescope view of the lifeless but beautiful planet Saturn, a bit that neatly evokes Abronsius' appreciation of cold scientific infinity. Having so little comprehension of humanistic values, it seems perfectly logical that the Professor would be tempted by the prospect of spending a deathless eternity researching the Count's library. The altered cut tries unsuccessfully to maintain a slapstick comedy tone and blunts Polanski's clear message: the ineffectualness of virtue in the face of organized Evil. It is a theme shared by Rosemary's Baby and Chinatown and present to some degree in Polanski's entire filmography. Much of the narrative is a series of frustrations as the heroes drift away from their mission through various distractions and mishaps. Alfred in particular seems incapable of staying on-task - doomed by his own virtue, innocence and human caring. Polanski and scenarist Gerard Brach's underlying message is that virtue and decency are delicate qualities unsuited for defeating Evil. Unlike the united and motivated vampires, the 'good' humans exist in Kafka-esque isolation one to another, weakened by self-doubt, ignorance and petty vanity. Unified action is impossible when even the simplest communication between the human heroes results either in misunderstanding or total incomprehension. Only too late do Alfred and Abronsius begin to become effective, deftly using their wits to improvise a crucifix from crossed swords, or smashing a door with a steam-powered cannon. The best is a scene (originally cut, of course) showing Abronsius shouting down a chimney flue at Shagal. The tyro vampire actually takes heed because he thinks Abronsius to be the voice of God: "Don't you touch her!" Savant has heard it remarked that some of the characterizations, Innkeeper Shagal especially, are anti-Semitic stereotypes. I think this to be a pretty shallow reaction; I just don't associate Polanski's motives, here and in the rest of his films, with anything so crude as anti-Semitism. 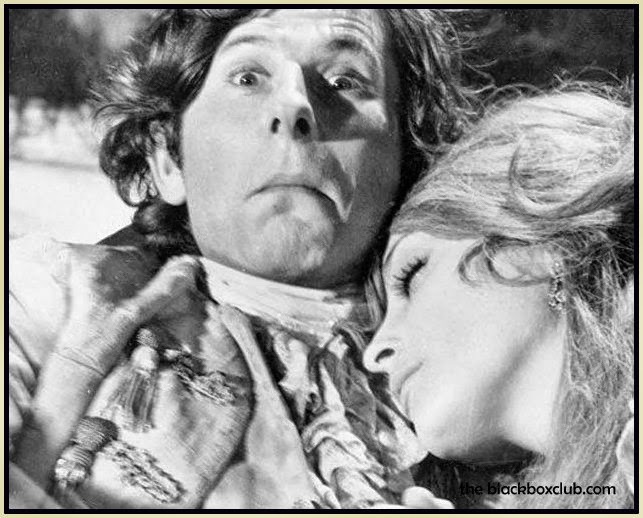 Shagal's petty and avaricious behavior would seem more to be Polanski's refusal to sentimentalize ignorance and poverty rather than some ethnic statement. When still human, Shagal defends his daughter and home with his very life. He's no more offensive or less human than Tevye in Fiddler on the Roof. The Fearless Vampire Killers is just a less sentimental story. Polanski's aim surely was the construction of a fairytale - the original kind with horror and humanity - but devoid of easy sentiment. It's Into the Woods minus hope and happy endings, plus lots of snow. Polanski's Count Von Krolock owes little to either Universal's Lugosi or Hammer's Chris Lee (Ferdy Mayne, who plays the Count, passed away early in 1998) and the film is several notches above the average Hammer in both conception and achievement. Polanski has drawn from the entire spectrum of the Horror genre, as indicated in arcane details like the fact that Alfred's and the Professor's costumes are copied from characters in Murnau's Nosferatu and Dreyer's Vampyr. Poetic and bizarre original touches abound, such as the Franju-like moment in Sarah's bath comparing the textures of first soap bubbles, then falling snowflakes, and finally crimson blood. Many critics call The Fearless Vampire Killers Polanski's odd film out, an aberration in his catalog of titles. Nonsense. The cruel 'the vampires win' climax adheres strictly to the axiom: no matter how bad you think things might turn out, in a Polanski film, they'll end up worse. The other Polanski that most resembles this Vampire ballet? Tess, a period film of souls trapped in an enclosed and stifling world ruled by cruelty and class oppression. There is a slow pan around a farm room filled with hanging cheeses (I think) in Tess that looks exactly like a creepy interior from Killers. 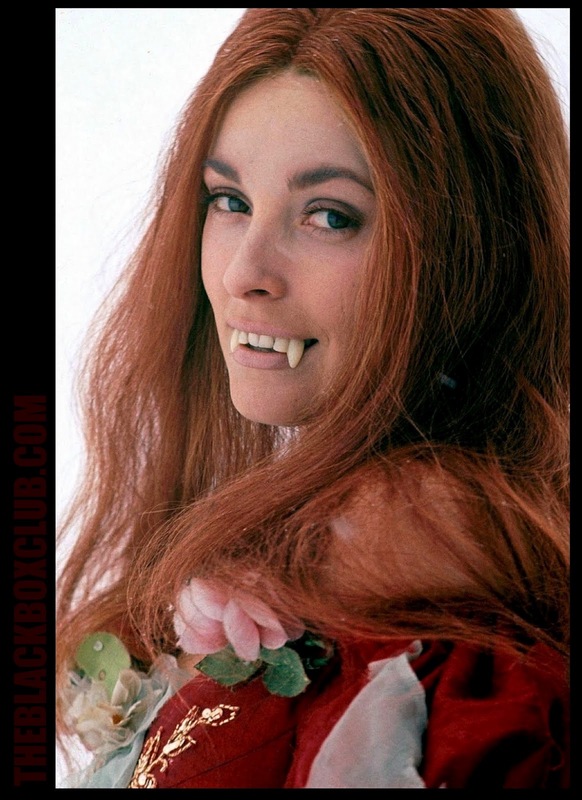 Indecision must have reigned at the film's 1967 American release because advertising materials exist under 3 titles: The Fearless Vampire Killers, or, Pardon Me, but Your Teeth are In My Neck, The Vampire Killers, and, simply, Your Teeth in My Neck. After all the effort (and some beautiful Frank Frazetta poster artwork in the What's New, Pussycat? / After the Fox merry chase style) the film got a very minor release. Most people saw it in an unfortunate double bill two years later with Valley of the Dolls, an ugly attempt to exploit Sharon Tate's notoriety following the Manson killings. Unfortunately, for many who saw it then, the film still carries a sick pall of association with that dark September's attempt by the media to portray Roman Polanski as somehow satanically involved in those awful murders. Combine the confusion of those tragic events with the mutilated American release and you get some understanding of how the original film became an unsung treasure, Hiding In Plain Sight. Around 1979, MGM began distributing the original cut to repertory & revival houses where it has remained an obscure but steady visitor. I myself caught it in Ensenada in 1982 in a Spanish-subtitled print that had a full theater of Mexicans alternately laughing and gasping in surprise, and applauding heartily at the end (but then again, all audiences outside of Los Angeles appreciate movies better!). The Holy Grails of film curatorship are Welles' The Magnificent Ambersons and Von Stroheim's Greed, both of which have legendary lost original versions. While The Fearless Vampire Killers may not be in their league, the happy news is that the 'good' version ultimately prevailed, a bit of optimism that goes against the film's own philosophy! The mangled 1967 American cut is actually hard to see these days, and as such is worthy of detailing here. If you remember seeing the film before 1979, Savant highly recommends giving it another bite now. WE ENCOURAGE YOUR COMMENTS AND OPINIONS ABOUT OUR POSTS. FEEL FREE TO LEAVE A COMMENT. MONSTER MAG NUMBER TWO: THE ONE THAT GOT AWAY! All images are the property of their respective owners and appear here under the Fair Use provision. Awesome Inc. theme. Theme images by moorsky. Powered by Blogger.